Car accidents can occur with little warning, and the impacts of some accidents can be life-changing in horrific ways. Reckless driving can leave victims with serious injuries, and victims can struggle to recover from these injuries for many years. Drivers who flee the scene of an accident are acting criminally and possibly leaving victims behind to not get medical care. On June 3, the Worcester Police Department received information about a motor vehicle accident that involved a hit-and-run driver. Internal reports indicated the accident involved two vehicles, one of which fled the scene. The incident was reported around 6 in the evening and occurred at the 400 block of Main Street. Upon arrival at the scene, first responders found that at least one victim was suffering from injuries. The extent of their injuries is still being determined, but the injuries do not appear to have been life-threatening. The victim was transported to a nearby hospital via ambulance. While the cause of this accident is still being investigated, the actions of hit-and-run drivers can be particularly hard for victims to understand. This is a criminal act that puts other people at risk. All drivers must take accountability if they cause an accident. When victims are injured, they can seek assistance so they can focus on their healing. We at the Law Offices of Jeffrey S. Glassman are involved members of the community, and we want oru roads to be safe. We urge all drivers to do their part to prevent accidents and also to take responsibility if they do. 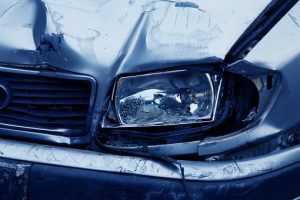 Accidents can happen to even the safest drivers, so we are also passionate about helping victims get the help they need to move forward with their lives.